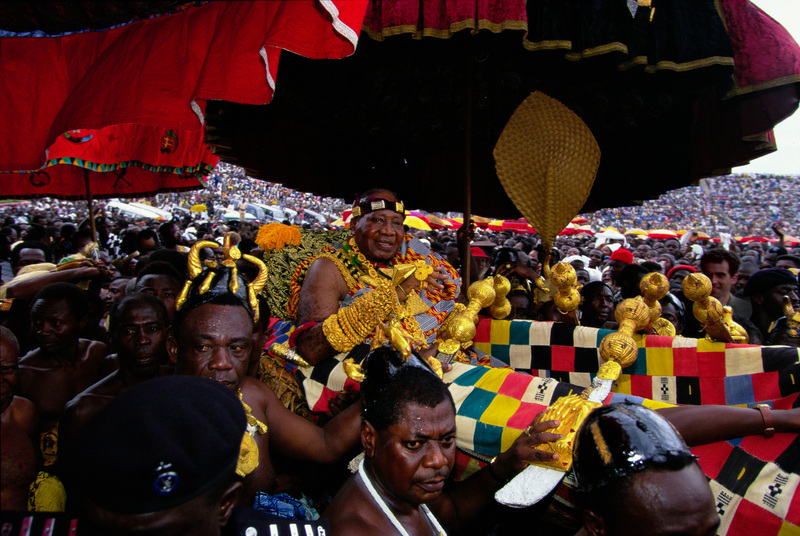 The king, known as the Asantehene, arrives at his jubilee celebration in a sumptuous palanquin shaded by twirling umbrellas and surrounded by retinue of 150 chiefs and bearers. Resplendent in kente-cloth robes, the king wears many heavy gold bracelets and intricately worked gold rings and may often require an attendant to help him support the weight of his jewelry. Carried before him are the swords of state, with handles crafted from gold leaf.